KFC is looking for kids who want to have fun and learn about the Bible! Gary and Susan Laski run KFC. They teach the kids how the Ten Commandments apply to their lives, who the disciples were and more. They feed the kids a meal (celebrate birthdays for that month), present a lesson and still have time for play so the kids can get to know each other. There are even some events that involve all of the youth groups at St. John’s such as ice skating, bowling and the annual Christmas party. Junior High is an exciting and difficult time in a kid’s life. Everything about their world is changing. It’s helpful to have a group of people who, sharing the same faith foundation, can be friends and supporters. During our weekly gatherings we always study God’s Word, play games and have fun. We also have occasional off-site adventures and service opportunities. We have participated in the Lexington Rescue Mission’s Walk for Warmth, raked leaves for church members and volunteered at the Hope Lodge. High schoolers are in a time of preparation for adulthood that allows more freedom, but requires more wisdom. It’s the perfect time to be bonding with other youth around their shared faith in Christ, and building on that faith through study and activities. Aside from meeting weekly on Sunday nights, Senior Youth also has overnight retreats, team building courses, service projects and an annual summer trip. 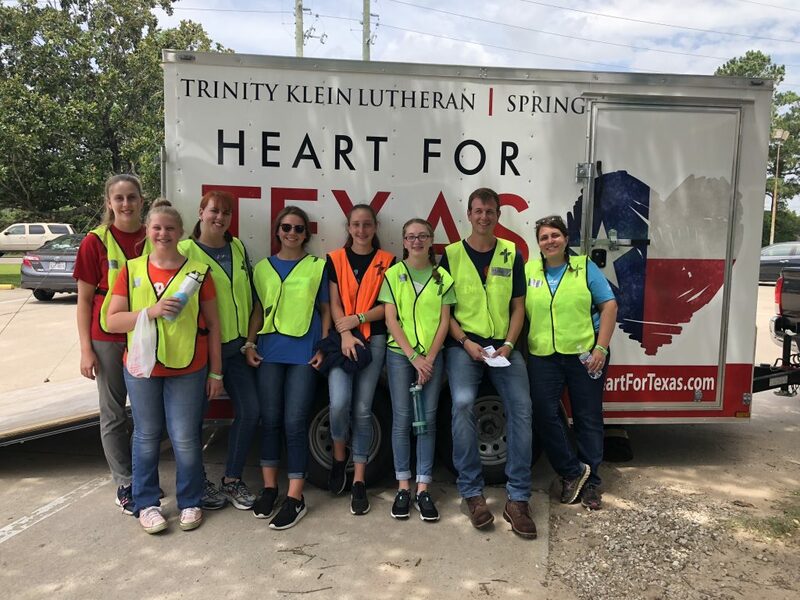 Every three years the group participates in the LCMS National Youth Gathering, joining tens of thousands of other Lutheran young people in a major American city. If you would like to know more about Youth Ministry at St. John’s, contact our Director of Christian Education, Michael Hartley, by using the form below or calling the church office. Interested in more information about Youth Ministry at St. John’s?